Nectarine is the edible fruit of the peach tree, scientifically called Prunus persica. Like peaches, nectarines are also most likely to have originated in China over 2,000 years ago, a country that contributes to 58% of the global production. All this – because nectarines are incredibly nutritious. Keep reading to know more. How To Eat A Nectarine? Wait a minute – why talk about all this? Is this fruit such a big deal? Firstly, nectarines and peaches are close cousins. So, the benefits you enjoy from nectarines would be available even from peaches. Back to the question – is the fruit good for you? Nectarines are great sources of beta-carotene, vitamin C, and lutein – nutrients that offer tremendous benefits. They enhance immunity, protect vision, and prevent numerous deadly diseases. They also help improve skin health. Nectarines are rich in fiber, too. And the greatness of fiber needs no special mention. It aids digestion both mechanically and by contributing to a diverse microbiome (fiber feeds probiotics in the gut) and fights against several abdominal ailments, including stomach and colon cancers. And the potassium in nectarines can help manage blood pressure levels (1). The beta-carotene and vitamin C in nectarines are powerful antioxidants that strengthen immunity and can prevent the onset of lethal diseases (2). Lutein can reduce the risk of cataracts and age-related macular degeneration. One nectarine contains about 150 micrograms of lutein. These sumptuous stone fruits are low in calories and have a low glycemic index (just in the 40s, which on a scale of 0-100 can be considered on the lower end). Which means they can be a go-to food for diabetics as well, when paired with adequate protein and fat. They contain copper that is involved with energy metabolism and may help you stay active for longer hours. And…well, let’s get into more detail, shall we? Check out here some of the best nectarine benefits in detail. In a study conducted at the Texas A&M University, mice were given an extract of the fruit. And the findings stated that the fruit had provoked the most aggressive of the cancer cells to kill themselves. The study also showed the fruits with the most red on their skin contained the highest cancer-fighting properties (3). But there’s a catch – the benefits may not be as effective with canned nectarines (or peaches). According to another Boston study, the intake of a minimum of 2 servings of nectarines or peaches in a week can cut the risk of breast cancer in post-menopausal women (4). Consumption of the fruit was also linked to a lower risk of tumors. The quercetin and chlorogenic acid in nectarines were found to stall cancer cell proliferation. And since the fruit is a superb source of antioxidants, it would perhaps play a role in preventing cancer. Nectarines also contribute to bile acid binding (the binding of certain components in the bile acid of the gastrointestinal tract). This prevents the recirculation of the bile acid within the stomach – leading to the excretion of potentially cancer-causing toxins from the body (5). As per one report, nectarines may be able to help prevent prostate cancer (6). The carotenoids (yellow pigments) and anthocyanins (red pigments) can also prevent inflammation that causes cancer. And white fleshed nectarines contain catechins that fight cancer (7). The high fiber content in nectarines can also prevent several types of cancer (8). High consumption of nectarines is also associated with a decreased risk of head and neck cancer (9). Are nectarines good for diabetics? According to ScienceDaily, a leading online science website, nectarines contain bioactive compounds that help prevent obesity-related diabetes (10). The phenolic compounds in the fruit have anti-diabetic properties. We already discussed glycemic index (to what extent a particular food can elevate blood glucose levels). Raw nectarines have a glycemic index of 43, which is on the lower end. The nectarine fruit is also one of those carbs that raise blood sugar levels slowly (11). The phenolic compounds in nectarines not only help fight diabetes but also prevent heart disease by reducing the oxidation of bad cholesterol. 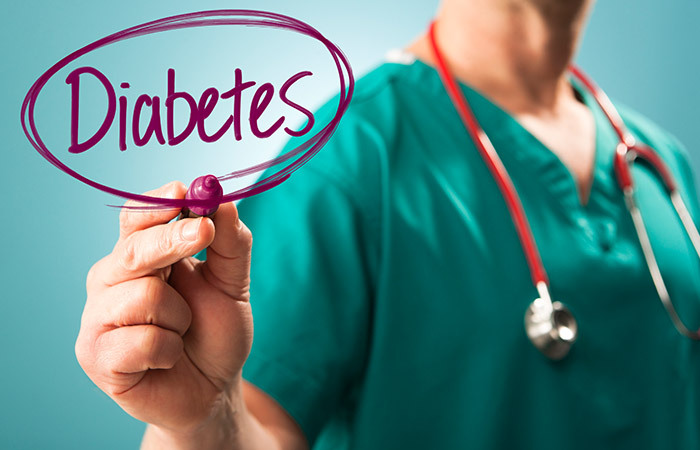 According to a report by the University of New Hampshire, there is no such thing as having a special diabetic diet for combating the disease (12). Also, carbohydrates are not the enemy of diabetics. In fact, did you know that the American Diabetes Association recommends consuming more of the healthy carbs found in whole grains, fruits, and vegetables? The point to be noted here is this – one must cut back on low-quality carbohydrates, or refined carbs like processed foods, etc. Otherwise, healthy carbs are always necessary. And nectarines contain those healthy carbs. Most diabetics also find that when pairing carbohydrate with ample fat and protein, they do not suffer pendulous blood glucose levels. Nectarines can also help battle metabolic syndrome, which is one of those ailments diabetics often suffer from (13). However, a word of caution – certain reliable sources quote nectarine as a high-sugar food, stating it could be harmful to diabetics (14). Speak with your doctor if you are diabetic and would like to incorporate nectarines into your diet. The natural substances in nectarines fight inflammation and create a domino effect that helps fight obesity. And, as we saw, they can also prevent metabolic syndrome that would otherwise lead to weight gain. The fiber nectarines contain is mostly soluble, which, as per a report by Centers for Disease Control and Prevention, can aid weight loss (15). The fiber achieves this by converting water into a gel-like substance in the intestines, which then prevents the cholesterol and fats from being absorbed into the blood. This contributes to healthy weight loss. Soluble fiber also reduces bad cholesterol in the body. According to the Journal of Nutrition, soluble fiber can have powerful effects on health (16). And as per the American Journal of Clinical Nutrition, dietary fiber supplements that claim to aid weight loss are not as effective (17). Hence, more power to the natural soluble fiber in nectarines! Fiber is so effective for weight loss that, as per a study, individuals who only added fiber to their diets lost as much weight as people who followed a heart-healthy and low-fat diet plan suggested by the American Heart Association (18). According to a Spanish study, the phenolics and flavonoids in nectarines contribute to their wonderful antioxidant properties (19). As per another American study, the antioxidants in nectarines reduce oxidative damage and promote longevity (20). Consumption of the fruit was also linked to DNA damage repair. Another study on flies concluded that nectarine can limit the harmful effects of a high-fat diet and can even promote the health span of the species. 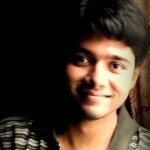 Similar observations are possible in humans. Another study on female flies had a groundbreaking revelation. Nectarine was found to increase the reproduction of female flies, suggesting that the fruit can delay reproductive aging. To give a comparison – the total antioxidant capacity of one nectarine fruit is 20% relative to that of 100 ml of green tea (21). But one aspect is to be kept in mind – nectarines are highly perishable given their limited market life potential. Hence, consume them quick. Nectarines offer twice the amount of vitamin A, more vitamin C, and a lot more potassium than peaches (22). Some folks/children are also turned off by the fuzz of a peach, so nectarines may be a preferable choice for you and your family. Other stone fruits that you can consume for enhancing the antioxidant content of your diet include prunes, cherries, plums, and apricots (23). And yes, peaches too. Hypokalemia is the deficiency of potassium in the bloodstream. And nectarines, given their richness in the mineral, can help treat the condition. As per a report by the Harvard Medical School, low potassium levels can lead to heart muscle weakness and disturbances with its rhythm (24). Potassium also regulates the acid and water content in the body tissues. 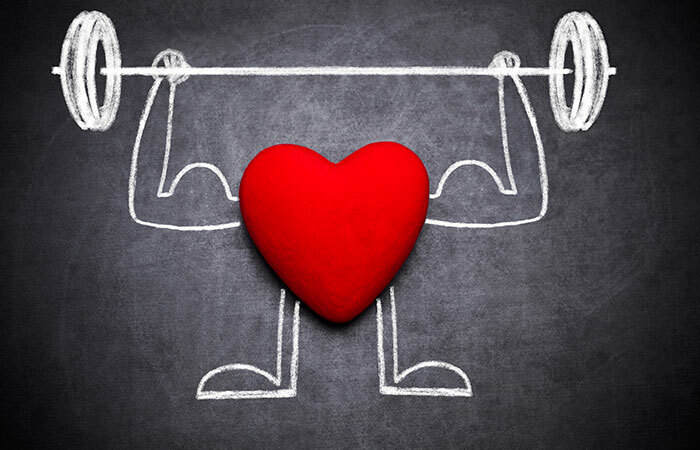 It helps build muscle, supports growth, and improves the functioning of the nerve cells (25). All of these could be affected if hypokalemia happens. So, go for nectarines! According to the Institute of Medicine, an adult must consume 4,700 milligrams of potassium per day to prevent hypokalemia. But nectarines may not be enough to balance potassium levels. If your potassium levels are 2.5 millimoles per liter or less (your doctor can explain you this), you may need to consider medically supervised supplements as well. Always consult your physician before beginning any supplement, especially where electrolytes are concerned. Electrolyte imbalances can lead to organ failure. Potassium can also help regulate blood pressure levels (26). And we have just seen how rich nectarines are in potassium. Diet is important, especially in cases like high blood pressure. Many doctors have managed to bring down excessively high blood pressure levels simply by modifying the patients’ diets (27). The potassium in nectarines works by relaxing the walls of the blood vessels (28). But people with kidney ailments must be careful as the mineral may be harmful for them; they may be on a potassium-restricted diet. Potassium depletion in the blood has also been linked to the retention of sodium levels – thereby causing high blood pressure (29). According to certain observations, potassium can also act as a diuretic and hence reduce the extracellular fluid volume – this can lower blood pressure to an extent (30). Medications for high blood pressure cut the risk of heart attack and stroke by 15% and 25% respectively. But they also come with certain side effects. Which is why prevention is better than cure. But, if you are already suffering from high blood pressure, nectarines can only supplement your medication and not replace them. Check with your doctor before you alter any medication or supplement in your regimen. The very fact that nectarines help lower blood pressure is enough for one to consider its benefits for heart health. In addition, the fruit is also rich in vitamin C, an antioxidant that can help maintain heart health. The fiber in nectarines can also contribute to a healthy heart (31). White nectarines are known to maintain heart health by regulating blood cholesterol levels (32). As per a report by the Michigan State University, the fiber in nectarines can improve digestive health (33). And nectarines can offer relief from constipation as well (34). The fiber in nectarines can also stimulate the growth of beneficial gut bacteria (35). Nectarines are also naturally high in prebiotics that can greatly enhance digestive health as they serve as fuel for probiotics, the live organisms, in your body. The fruit can help in the treatment of irritable bowel syndrome, an intestinal disorder that can cause bloating and gassiness (36). It can also relieve stomach upset. 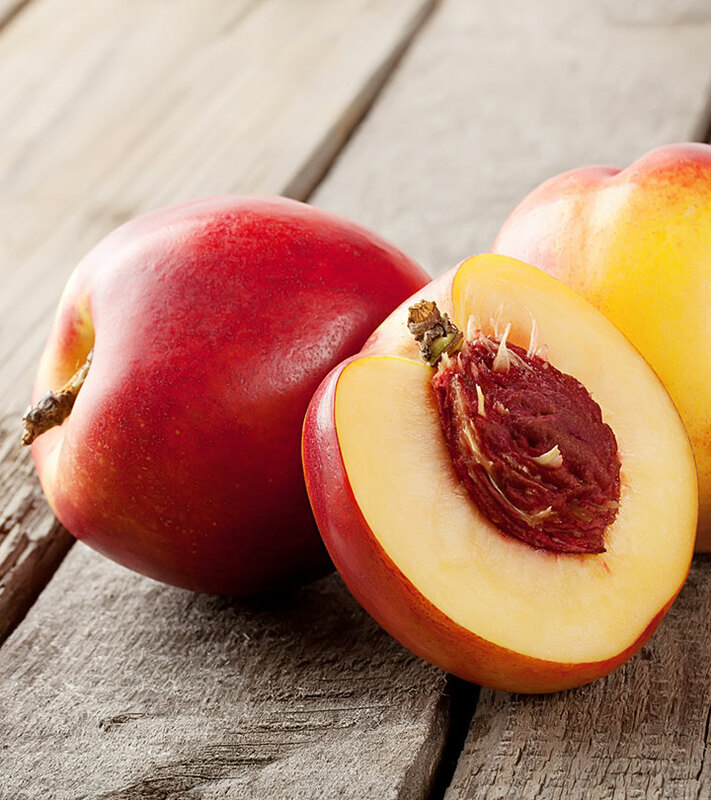 Talk to your registered dietitian about your IBS diet as nectarines (and stone fruits) may be prohibited during an elimination period. Soluble fiber lowers cholesterol levels. And we know that nectarines are great sources of the fiber. One medium nectarine contains about 2.2 grams of fiber (37). According to a report, the intake of 5 to 10 grams of soluble fiber every day can bring down the bad cholesterol levels by as much as 5% (38). One way of incorporating nectarines in your diet for lowering cholesterol is to include the fruit (cut pieces) in your breakfast cereal. You can also eat the whole fruit as an evening snack with some yogurt or cottage cheese. One of the best benefits of nectarines is their potential to enhance immunity. The fruit’s vitamin C content may bolster immunity (39). On top of that, vitamin C also aids the body in the process of regenerating vitamin E – which is another nutrient that fights free radicals and strengthens the immune system (40). The beta-carotene and other carotenoids in nectarines also contribute to immune function in the body (41). And the vitamin A in nectarines can help fight infections. It strengthens the cell walls and protects the mucus membranes from invading bacteria (42). Nectarines are great sources of vitamin C, and according to the Oregon State University, the vitamin can prevent potential UV damage (43). Vitamin C also plays a role in the synthesis of collagen, the protein essential for skin’s integrity. This protein is an important part of the connective tissue that holds the skin, bones, tendons, ligaments, cartilage, and blood vessels together. It combats skin aging, accelerates wound healing, and heals dry skin. As per one Indian study, vitamin C can also be used to treat skin hyperpigmentation and inflammation (44). The vitamin is also known for its role in preventing skin cancer (45). An American study suggests that vitamin C can improve wrinkles as well (46). More importantly, it improves the appearance of the skin even as it ages – and promotes healthy tissues too (47). We humans cannot produce vitamin C, which is why we must rely on healthy food sources – like nectarines. The vitamin has also been found to aid in cellular renewal. It is a rare case that one suffers from the effects of excess vitamin C – but still, practice caution and do not take Vitamin C supplements (48). The vitamin A in nectarines improves cell communication. It promotes cell development by encouraging immature cells to develop into completely functional tissues. According to a Philadelphia study, deficiency of vitamin A in pregnant mothers can limit the growth and development of their babies (49). Vitamin A has also shown to help the T cells (cells that are responsible for immunity) in the gut to navigate to the required areas to perform repair and maintenance (50). It also has a role to play in the development of white blood cells (51). One report by the University of Rochester Medical Center states that vitamin C can influence cell development (52). Nectarines are rich in lutein and zeaxanthin, the carotenoids found in the retina. Consuming these improves pigment density in the macula (53). They protect the eyes by neutralizing free radicals and are usually found together in food. The beta-carotene in nectarines also supports eye health and might prevent macular degeneration. One cup of nectarines contains about 214 micrograms of beta-carotene. A higher intake of lutein and zeaxanthin can decrease the risk of cataracts and age-related macular degeneration – and it is important to note that these two diseases have limited treatment options (54). Hence, it is easier to attempt prevention. Lutein can also help prevent another eye ailment called retinitis pigmentosa, which is a group of eye disorders causing progressive damage to the retina (55). Lutein and zeaxanthin can also help vision issues related to dim light or when glare could be a problem (56). The benefits of these two compounds could be attributed to their ability to filter the blue light (from the UV radiation) and offer antioxidant power (57). We know iron helps prevent anemia. And even though nectarines aren’t particularly rich in the mineral, the vitamin C in them helps improve iron absorption in the body (58). In other words, the more the amount of vitamin C in the food, the better the iron absorption (59). But we need to understand that most foods don’t come fortified with vitamin C (high cost and instability during storage) – which is why including foods rich in vitamin C, like nectarines, helps a lot. This applies even if you are taking an iron supplement for your anemia. You can take about 240 milliliters of nectarine juice along with your iron pill for optimal iron absorption (60). But, as always, consult your physician. It is also important to note that fresh or frozen fruits (nectarines, in this context) have more vitamin C than the canned variants (61). Vitamin C is also quite sensitive to heat, so amounts may degrade when cooking. That was about what are the health benefits of nectarines, and now some fun facts about nectarines. Here is the amazing nutritional value of peaches. Nectarine (Prunus persica var. nucipersica), Fresh, Nutritive value per 100 g.
And by the way, we spoke of nectarine calories, didn’t we? How many calories in a nectarine? Well, one small nectarine has just about 57 calories. And 1.2 grams of protein. Speaking of carbohydrates, one cup of sliced nectarines contains 15 grams of the nutrient – of which, 2.4 grams is in the form of dietary fiber. Oh wait, there are other vitamins and minerals too! One cup of sliced nectarines contains 9 milligrams of calcium, 13 milligrams of magnesium, and 285 milligrams of potassium. And these 3 minerals work coherently for bone health. The fruit comes in different types too. White and yellow flesh varieties – where the two varieties still have a smooth, dark red skin. They taste stronger than peaches. But then, white nectarines are sweeter and less acidic than their yellow counterparts. And the yellow nectarines are tangier. Clingstones – where the flesh of the fruit is attached to its pit. Freestones and semi-freestones – the flesh of the freestones is not attached to the fruits’ pit, and in the case of semi-freestones, it is attached to some parts of the fruit. So to say, the freestone variety is the easiest to eat and least messy of all. And now comes the million dollar question. The differences, let me tell you, are only physical. And the one major physical difference is that peaches have a fuzzy skin while nectarines are far smoother. Also, nectarines are smaller, firmer, and more aromatic. That’s about it. Otherwise, nectarines and peaches are just the same. Well, well. Till now, we have seen all that is amazing and why are nectarines good for you. But everything has a dark side. So do nectarines. Knowing the dark side might help us to appreciate the bright side better. Probably? Find out here what are the side effects of eating peaches. Nectarines are more likely to be contaminated with pesticides because their skin is thin and exposed to the environment. And pregnant women are more susceptible to their negative effects. Hence, pregnant (and lactating) women may want to opt for nectarines with minimal pesticide exposure. Some of the allergies to nectarine include itching (in the mouth and throat), swelling (lips, eyelids, and the face), and certain digestive and respiratory symptoms (like vomiting, diarrhea, stomach pain, runny nose, etc.). The most severe allergy to nectarines (and most stone fruits) is a condition called anaphylaxis, which constitutes of cardiovascular instability and serious breathing problems. If you observe any of these symptoms, cease eating the fruit immediately,and visit your doctor or emergency room promptly. Oh wait, how about checking out the facts about the fruit? Nectarine trees need nitrogen-rich fertilizers like bone or blood meals for their proper growth. Nectarines are climacteric, meaning they continue to ripen even after picked from the tree. This trait is also seen in apples and bananas. As per the ancient Chinese, nectarines held the secret to vitality as the blossom sprouts much before the leaves. Nectarines are not a hybrid of plums and peaches, as most people believe. Once in a while, a peach tree undergoes mutation, and the gene responsible for the usually fuzzy skin is turned off – and a nectarine is born. Pick a ripe nectarine. Cut the fruit into fourths, remove its pit, place the pieces in a bowl and eat them using a spoon. You can also munch away the fruit like you eat an apple. But ensure you wash it thoroughly first. Also, keep a napkin handy to blot the sticky juice that runs down the fruit. That was about benefits of eating peaches, and now for some delicious recipes. Preheat the oven to 374oF. Firstly, blanch the nectarines in boiling water and peel off the skin. Remove the stones and cut the fruits into slices. Mix the slices with the raspberries and honey. Place in a baking dish. Now, mix the ghee, brown sugar, flour, cinnamon, salt, nutmeg, and oats. You can do this with your fingers to get the rough crumbs. Spread it on top of the fruit and bake in the preheated oven for about 45 to 60 minutes. Combine the nectarines, onions, red bell peppers, fresh cilantro, and jalapeno peppers in a bowl. Add the lime juice, salt, olive oil, salt, and cayenne pepper and stir. Cover the bowl with a plastic wrap. Refrigerate the bowl for about 30 minutes to an hour. This will help the flavors develop. Stir in the black pepper. You can also add an additional pinch of salt, if required. Cook all the ingredients on a mild heat for about 30 minutes. Skim the foam off the surface. Ladle the jam into sterilized glass jars. Process them in a boiling water bath for about 10 minutes. All good. But what seals the deal is the knowledge of picking the right nectarine. And then storing it the right way. While selecting nectarines from the market, remember to squeeze them gently. They must yield slightly. Also, the nectarines must be richly colored with no brown spots. They must not have green or wrinkly patches. Coming to storage, first, you need to ripen them at room temperature. Ensure the fruits are placed with their stem-end down, for this purpose. If the fruits emanate a sweet and flowery smell, it means they are ripe. Refrigerate them in a plastic bag (unwashed). Nectarines are known to ripen fast. Hence, refrigerate them only for a day. And, by the way, it is always better to buy nectarines (or any other fruit or vegetable for that matter) directly from the market (and not online). Preparation is simple too, and the process has two parts – peeling and stoning. Using a paring knife, cut a small cross at the base of the fruit. Place the fruit in boiling water for about 30 seconds. Using a slotted spoon, transfer the fruit to a bowl of iced water. Remove the fruit from the water. Using the knife, slowly pull the skin away from the fruit. Use the paring knife to cut the fruit along its seam and around the stone. Twist the knife to separate the fruit into halves. Using the knife again, carefully cut around the stone. Gently lift the stone out and discard it. Point To Be Noted: Nectarines lose their sheen as they ripen. Also, the sweetest fruit has more white spots on the top half. And yes, this is a good sign. We know you have a few more questions. And we appreciate that. Here are the answers. How to bake nectarines like peaches? Spray a nonstick cooking spray on the baking dish. Wash the nectarines and cut them into halves. Remove the pits. Pour apple juice at the bottom of the nectarines (in the dish). Dot the surface of nectarines with melting butter. Sprinkle brown sugar, cinnamon, and cloves on the fruits. Place the dish in the preheated oven and bake for about 30 minutes. Remove and let them cool. Serve as desired. Wash and dry them. Slice them. Arrange them on a baking sheet. Place them in your freezer for about 4 hours. Package them within a day (to avoid the freezer burn). You can freeze the fruits for up to 3 months. Not really. One small nectarine contains just about 11 grams of sugar. Also, they have low glycemic index. Are there almonds in nectarines? No. It does taste somewhat like an almond though, except for the nutty flavor that ends bitter. Are nectarine pits poisonous to humans? The pits contain substances (called cyanogenic glycosides) that the body metabolizes into cyanide. It is not advisable to consume nectarine pits. 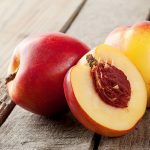 Why are nectarines called stone fruits? Because they contain stones. And these are also called pits. Or seeds. Place them in a brown paper bag along with an apple or a banana. They produce ethylene that accelerates the softening process. But check on the nectarine from time to time as it can turn mushy pretty quick. How to make nectarine baby food? Very Simple. Select, buy, wash, peel, pit, and slice the nectarine. Puree or mash the fruit. You can also boil the nectarine first to soften it. And you are good to go. You can also add some water if needed. Nectar in the truest sense, indeed! Grab a basketful today, and eat a nutrient-dense food every day! But before that, do tell us how this post on benefits of nectarines has helped you. You see the comment box down there? Yes, leave your valuable comments there. We promise to get back to you as soon as possible. 2 Simple Tricks To Remove Pesticides From Fruits And Vegetables!